Note! this guitar is SOLD but we have another in Black, at $3149. 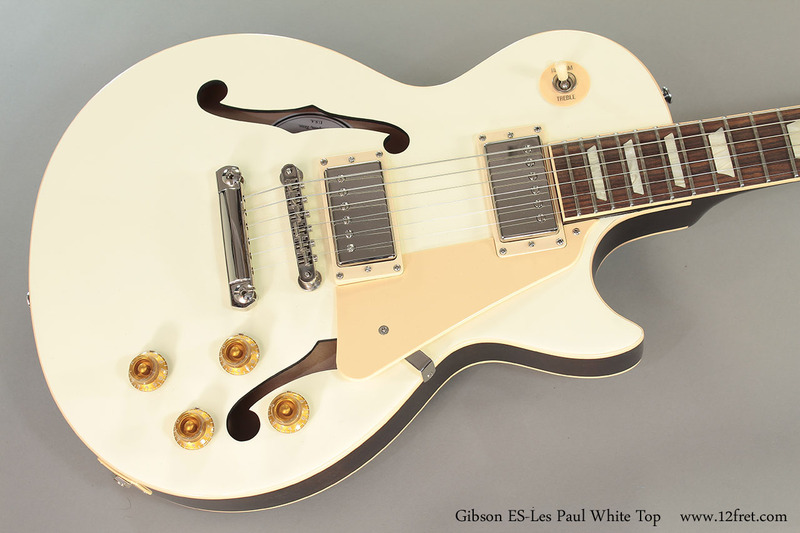 Just in – a brand new, limited-run Gibson ES-Les Paul White Top! Blending the features of the Les Paul and the ES-335, the ES-Les Paul delivers as a comfortably light, resonant and rocking guitar. 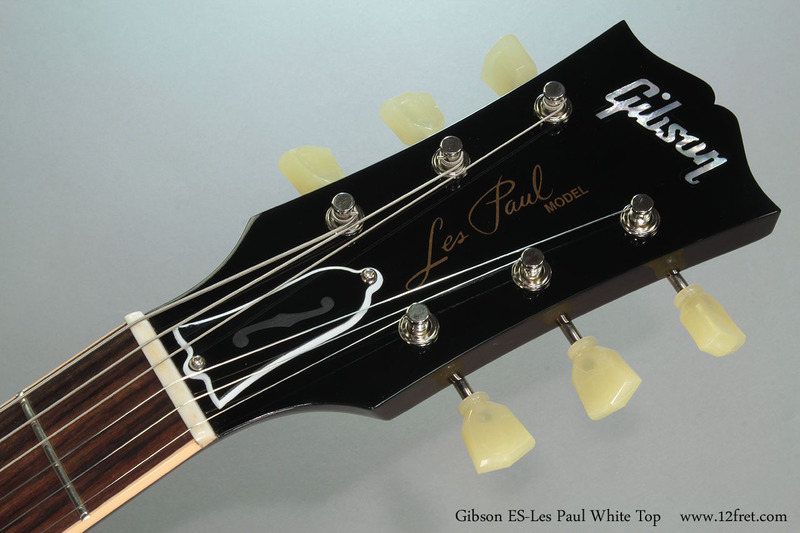 The Gibson ES-Les Paul is all new for this year. 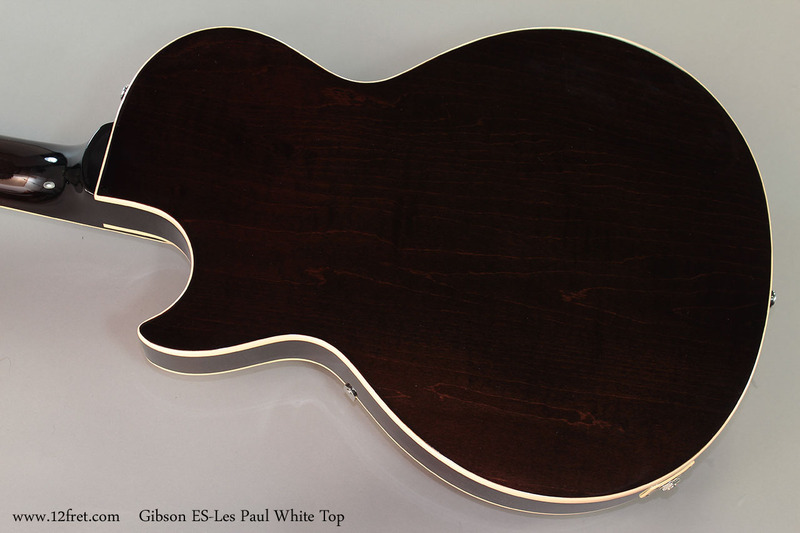 Built at the Gibson Memphis plant, these guitars feature a maple/poplar/maple laminate top, back and sides like the other guitars in te ES-series, with a center block focused on the bridge and tailpiece area. This reduces weight, resists feedback, and allows a semi-hollow tonality to the instrument. The MHS pickups (MHS stands for Memphis Historic Spec) are underwound compared to modern Les Paul humbuckers and are more suggestive of the lower-output late 1950’s PAF pickups and use Alnico III magnets in the neck (for better articulation) and Alinco II (for slightly more midrange) in the bridge positions. Overally these are very interesting, great sounding, playing and comfortable guitars. 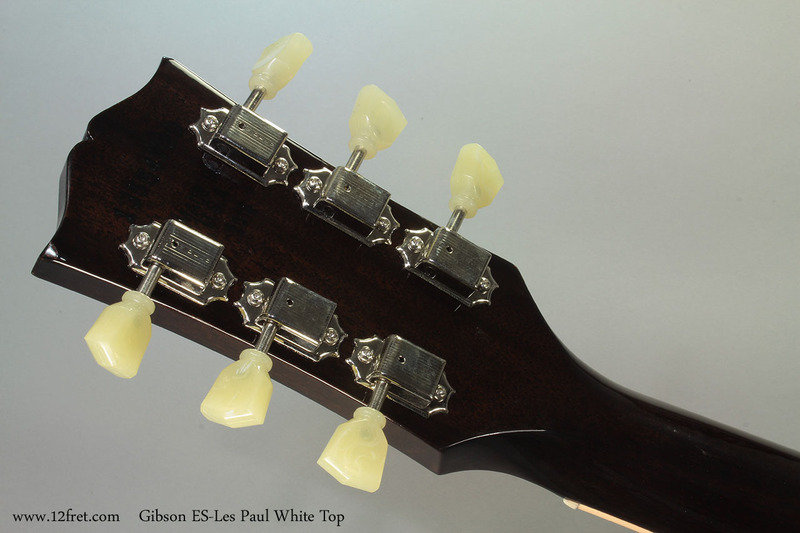 Read about the Gibson ES-Les Paul White Top at the Gibson Website here!